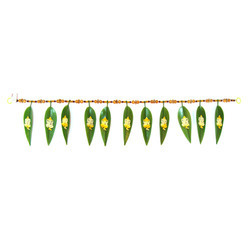 We are putting forth extensive range of Designer Bandhanwar to our clients, used for décor purposes. These bandhanwar are designed with creativity and are offered in vibrant hues. Customers can source these products as per their preferred choices at reasonable price. 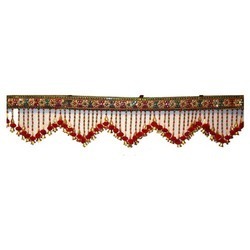 These bandhanwars have gained huge appreciation among our customers base as used widely for décor of entryways. On demand of our prestigious customers, we are highly engaged in manufacturing, exporting, and supplying an extensive range of Fancy Bandhanwar. This fancy bandanwaar is checked from our expertise so as to deliver a flawless range. The offered fancy bandanwaar is designed synchronization with the set industry standards. We are offering this fancy bandanwaar to our customers at reasonable price. Looking for Fancy Bandhanwar ?